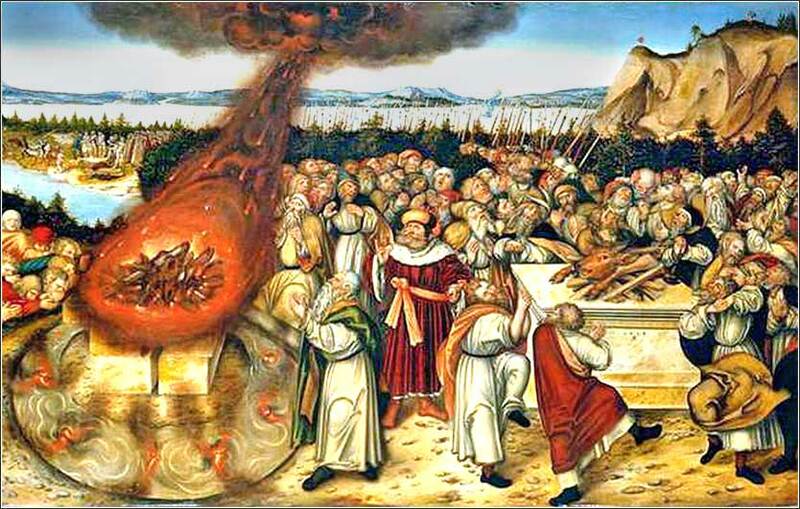 Elijah and the Priests of Baal by Lucas Cranach the Younger, ca. 1545. With characteristic flamboyance, Cranach illustrates the futility of long repetitious prayers in the famous story from 1 Kings 18. This 16th-century Ave Maria by Tomas Luis de Victoria is sung as written, for a capella male choir in 8 parts, by the Cambridge Singers. Fulfil Thy purposes through me. Many people, if not all, have a subconscious conviction that the longer they pray, the better God hears them; that they can, perhaps, batter down God's door with sheer persistence until He gives in, or that the degree of a person's piety may be accurately measured by the duration of their prayers. One would be hard-pressed to pick the winner in a long prayer contest, but certainly the Jews of Jesus' time played in the major leagues. They had specific prayers to say at sunrise and sunset, and a litany of eighteen prayers to be repeated three times every day, for starters. In addition, there were prescribed prayers for every occasion, and long prayers to be said in synagogue; one, for instance, recites sixteen different adjectives for God. The practice of such religions as Islam, with set times every day to remember God, is commendable, as it forces them to break out of their worldly frame of mind, remember God, and reset their thinking. The danger is that such prayers may become mindless rote; they will simply slip off the tongue, with no more meaning than dropping a quarter in a parking meter. How many times have you said an automatic blessing before a meal, or recited the Lord's Prayer, and realized afterward that you had managed to bypass your brain? 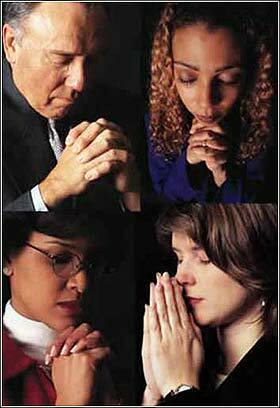 Some religions actually stress repetitious prayer that is not really meaningful at all, but a chant designed to induce a mystical trance. There is nothing wrong with this, as a form of relaxing meditation; but you can get the same effect using any word. It is not effective praise of God. The Hare Krishna sects, who will say the same phrase for an entire day, must be a top contender. Muslims will recite the sacred word “HE” for many hours. This is not prayer, but self-hypnotism. It intentionally disengages the conscious mind. The beautiful liturgies of more formalistic churches can be profoundly moving, but the tendency to say them without any real thought or feeling must be avoided. Even though sacramental practices may be central to our life in Christ, Christianity is not primarily a mystical religion. In our prayer, we attempt to engage our consciousness, not lull it into inactivity.